For a while, it seemed he would make good on this promise. Zenefits, the YC-backed free 2-in-1 HR platform and insurance broker, is championed as one of the fastest-growing SaaS companies in history. Last May, the company raised $500 million in yet another funding round, bringing its total valuation up to an eye-boggling $4 billion. 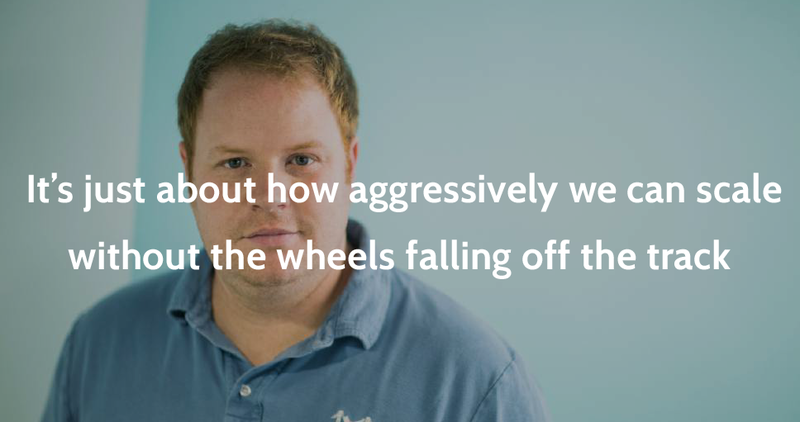 Zenefits is now eating its own words—or drinking them, to use Conrad’s language. Conrad stepped down last week, after a series of investigative reports on Buzzfeed, of all places, detailed how the company flouted insurance laws and helped brokers cheat on the licensing process. Taken by themselves, they weren’t necessarily a problem. But compounded together, they might just lead to the company’s implosion. 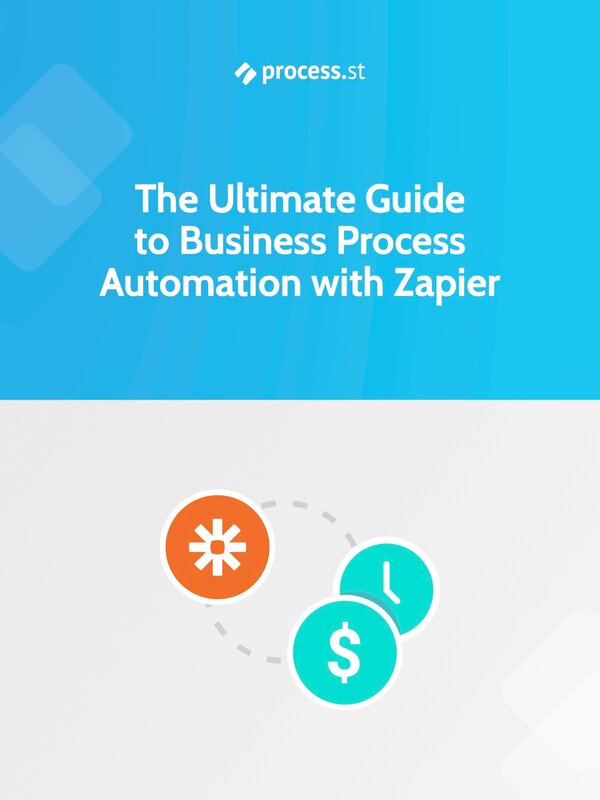 Here are the three process management mistakes they made, and how your startup can avoid them. Parker Conrad had bold goals for his company from its inception. His initial plan was to go from 2 to 20 sales reps and from $1 to $10 million in ARR in the company’s first calendar year—not exactly a cakewalk. But Zenefits’ growth really picked up when Lars Dalgaard, managing partner at Andreessen Horowitz, invested. As Conrad said in an interview at SaaStr Conference, a meeting with Lars changed the company’s trajectory. So they set out for hypergrowth. But even though their goals and key metrics changed, their processes didn’t—which was mistake #1. Once they set their eyes on such large figures, they needed to put processes in place that would help them get there. For one, they needed more sales development reps (SDRs), so they decided to hire aggressively in Phoenix, a less expensive market. Essentially, there were no incentives for actually filling out the paperwork, and no one checking up to make sure that it was all filed correctly. And now, the wheels have fallen off the track. What’s more, those licenses were earned under shaky credentials to begin with. The name for the tool might pay tribute to Paul Graham. “Macro” is a powerful shortcut in coding language Lisp, something he talks about at Y Combinator so much that its blog is also called The Macro in homage. The Macro allowed them to continue to be logged on to the training, racking up the full 52 hours without actually being present, engaged, and learning throughout the process. A lawyer for Sacks said that Conrad believed that 52 hours was too long to spend in training. They wouldn’t get to $20 million frittering their time away with silly things like licensing. Unaccountable brokers and lack of licensing didn’t impact them immediately. But it was about to bite them. Regulations can be a huge thorn in a startup’s side. And unicorns are all about breaking the rules—just look at Airbnb or Uber’s problems with regulatory concerns. 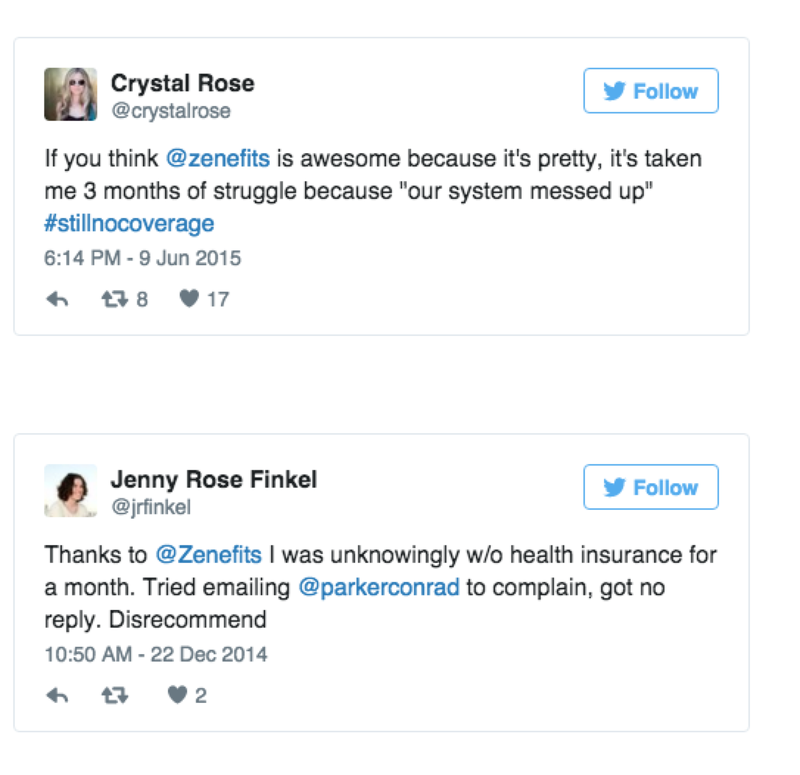 But there’s a major difference between Zenefits and these companies. While Uber and Airbnb found loopholes in the law and asked for forgiveness after the fact, Zenefits flagrantly violated federal and state regulations regarding insurance brokers. 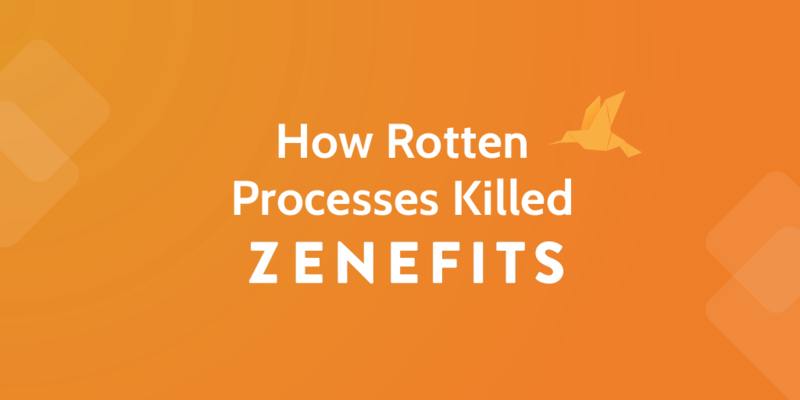 And as it turns out, some of the regulations Zenefits cut through are there for really good reasons—and can have potentially deadly outcomes for customers. The first official definition is found in 1892 regulations in the state of New York. Insurance broker became a regulated term under the Insurance Brokers Act 1977, which was designed to thwart the bogus practices of firms holding themselves as brokers but in fact acting as representatives of one or more favored insurance companies. Since then, insurance brokers, who serve as a mediator between insurance companies and businesses, have had to pass an exam and take a certain number of hours of training before taking anyone’s money. It sounds like a lot of bureaucratic red tape, but there’s actually a lot of good reasons for it. Insurance (and healthcare in general) is full of people preying on Americans where they’re unknowledgeable and willing to take on a lot of risk. Other times, people have fallen victim to downright insurance fraud. Just a few years ago, John Paul Kill (yes, that’s his real name) raked in about $3.7 million in premiums insuring trucking companies’ cargo and vehicles, but Kill didn’t actually purchase the insurance—he pocketed it. So when the Macro allowed for brokers to not officially get licensed, it put consumers at risk of fraud or ineptitude. Other times, the problem isn’t downright fraud so much as mishaps on the part of the hired someone was a purported expert. 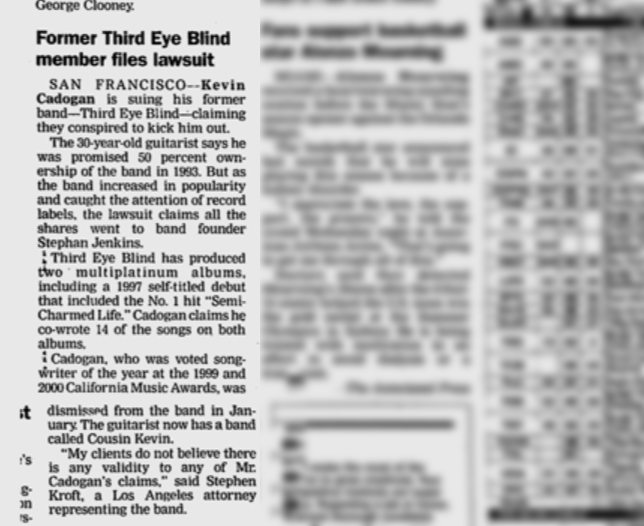 One infamous incident involved the band Third Eye Blind. They had bought not health insurance, but “advertising insurance” through an inept broker, to cover the legal fees if someone steals your stuff, defames you, or uses your image. They ended up needing that insurance in 2003 when the band fired guitarist Kevin Cadogan (typical band personality conflicts). Cadogan sued, and the remaining band members spent $3 million of their own money in legal fees because the insurance company, North American Specialty Insurance refused to cover them. Why? Turns out there was a weird exclusion in their policy. It didn’t cover legal fees in the “field of entertainment” which, for a band, is probably pretty important. Though they eventually settled, the court held that the insurance broker could be liable for failing to provide competent advice. Insurance brokers need to be competent and know what they’re talking about, before taking people’s money and promising them that they’ll be insured. If you don’t have as much money as Third Eye Blind, this could be a real problem. So when Zenefits padded hours and hired inept brokers they put people at risk. When a company is getting so much press and is the darling of the SaaS world, it can be difficult to take a hard look at processes and say “hey, something isn’t working here.” Even when it’s clear that that’s the case. That’s exactly what happened with Zenefits. They had been doing so well publicly that they didn’t examine what was really going on, which is why Conrad’s resignation came as such a surprise. These kind of processes are particularly malicious because they rot companies from the inside out. No one on the outside sees what’s going on, but everyone on the inside knows. Eventually, this kind of cutting corners is bound to catch up. 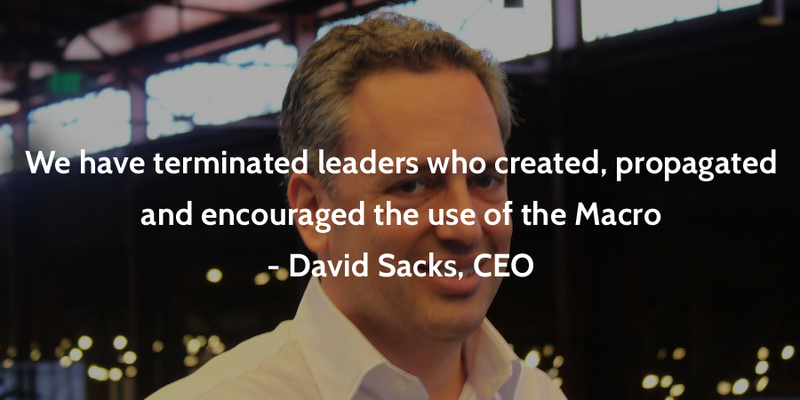 And it did for Zenefits, in two ways: by hurting the company and hurting its customers. For one, the company cut corners in their employee onboarding processes—a bit ironic for an HR platform. By not fully training and educating all their sales reps and brokers, they wound up with confused and unhappy employees. The lack of attention paid to employees has made them pretty miserable, spreading the impression that they don’t matter. In addition, Zenefits has been falling short of its aggressive revenue targets, and have cut employee pay to make up for it. Because their investors expect such huge profits, they need to start making up that revenue somewhere. And they did it by laying off employees by the dozen. Needless to say, employees were not thrilled. This summer, after a lot of internal pressure, Zenefits finally created an employee happiness committee and received hundreds of applications from its disgruntled staff. Because she hadn’t received the necessary training, she often had to improvise on calls with customers. It led to customers thinking they were covered and actually being hurt. While there are no reports of customers who have been in an accident and coverage refused (like the Third Eye Blind situation), it certainly could have happened had investigators and regulatory agencies been vigilant and found them out. He’s reassuring customers by double and triple-checking that processes are back in place. Zenefits also appointed a former federal prosecutor as their Chief Compliance Officer, who stated, “We must have integrity in our business practices, compliance obligations, and internal processes.” They’re also conducting “top-to-bottom review to ensure appropriate and best-in-class corporate governance, compliance and accountability. That kind of compliance and accountability should have been in place from the start to prevent the normalization of deviance and simply to protect customers. If there’s any lesson to be learned here, it’s that hypergrowth only works if startups pay attention the little details. Conrad could have put processes in place that incentivized the right stuff—like providing quality insurance advice. Instead, he’s wound up with unhappy employees, customers, and investors. Ready, fire, aim, is not a process—and now Parker Conrad is paying the price. This isn’t “rotten processes”—this is rotten ethical court, with a Bucket of malfeasance and a dash of fraud.